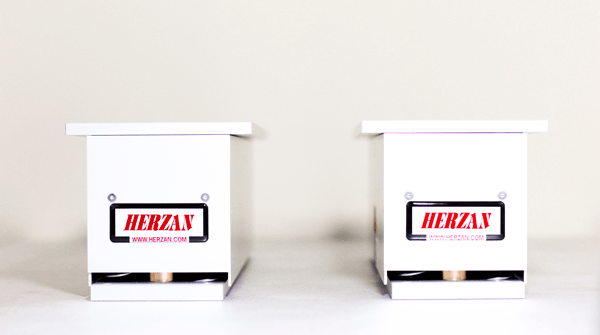 Join Herzan at the 2016 MRS Fall Meeting! Stop By Our Booth (#304) Nov. 27th – Dec. 2nd! We at Herzan are excited to engage with researchers at the MRS Fall Meeting in the renowned Hynes Convention Center in Boston. We will be sharing the latest innovations in the field of environmental control, designed specifically to address needs within the material research community. Stop by Booth 304 to learn more about the unprecedented vibration isolation performance of the AVI Series and discover how the MicroDamp Series can enable you to achieve more from your instrument, while fitting within your budget. Also, there are some free giveaways at the booth to bring home to family and friends! We look forward to meeting you at the upcoming show! The MicroDamp Series vibration isolators are an economical solution for applications requiring consistent vibration isolation performance over a broad frequency range. The MicroDamp Series consists of a highly compressed composite material encased in damped aluminum, offering significant vibration isolation performance at an affordable price. The AVI Series is a modular, low profile, active vibration isolation platform that achieves sub-hertz isolation performance across all six degrees of freedom. The AVI Series is available in three standard sizes (AVI-200, AVI-400, and AVI-600) to accommodate instruments of all shapes and form factors (from 0 – 9,000 Kg).